Best known as Britain's sharpest impressionist, Rory was born in Edinburgh and educated at Wellington College and King's College London. He started out on the cabaret circuit in London and Edinburgh, doing lectures by day and stand up comedy at night before graduating to the radio satire shows News Revue (LBC) and WeekEnding (BBC). He first appeared on national television on The Tube in 1984 and after guesting on the Central TV series And There's More, he had his own series on BBC2 for seven years. 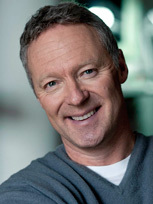 In 1993 he moved to Channel 4, since then his show Rory Bremner - Who Else? has won over ten major awards, including BAFTAs for himself and his fellow writer/performers John Bird and John Fortune. The move to Channel 4 reflected an appetite for new challenges, which included the award winning Arms to Iraq analysis, Scott of the Arms Antics (Ch 4): he has also made documentaries on Winchester (TVS) and Dame Edna Everage (C4), hosted a cricket chat show (BBC), and played a role in the drama You, Me and It (BBC)(1993). He has frequently been a guest on various programmes, including Whose Line Is It Anyway, Have I Got News For You, They Think It's All Over, Comic Relief, Frost on Sunday, Clive Anderson Talks Back, Wogan, It'll Be Alright on the Night and many others. 1999 set the scene for Rory's launch into Opera, with a new translation of Kurt Weill's Der Silbersee for Broomhill Opera, which was performed in Spring. He has gone on to translate a further two operas: Carmen and Orpheus in the Underworld. In February 1998 he was named Variety Club Personality of the Year, though he feels this may be on the basis of quantity rather than quality - his repertoire of impressions currently runs to over 100, from film stars to sports commentators, from anchormen to comedians, and from politicians to Mohamed al Fayed. He is patron of five charities - a Portsmouth Hospice, Tusk Trust, Second Chance, YCTV, and Birthright. He regularly appears for other charities as well as doing after-dinner cabarets, conferences, videos and voice-overs. 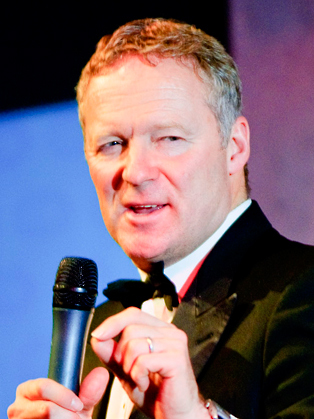 His own videos include The Best of Rory Bremner, and the cricket compilations Rory Bremner - Creased Up, which is the best-selling cricket video of all time, and the sequel Creased Up 2!